Who Divorces Whom, And Why? The Behaviours of Divorcing Couples. Women start 61% of divorce proceedings. For the past 100 years* in the UK, women have been granted majority of divorces every year. In 2016 (the latest year for which we have statistics) 61% of divorce petitions were filed by women, 39% by men. Out of 106,600 divorces, 65,100 were granted to women. *1924 was the first recorded year when divorces granted to women overtook those for men. The Office for National Statistics issues statistics for divorces from 1858 to 2016. 2. However, women are starting fewer divorces, year on year. The number of divorces granted to women has nearly halved since a peak in 1993. In that year, 118,000 divorces were granted to women, 81% more than the 65,100 granted in 2016. 3. Men are divorcing in consistent numbers, year on year. In 2016, 41,500 divorces were granted to men. This number has remained fairly consistent for the past 40 years. This means that the proportion of divorces granted to men is increasing every year, from a low of 28% to this year’s high of 39%. 4. Women are most likely to divorce on the basis of unreasonable behaviour. 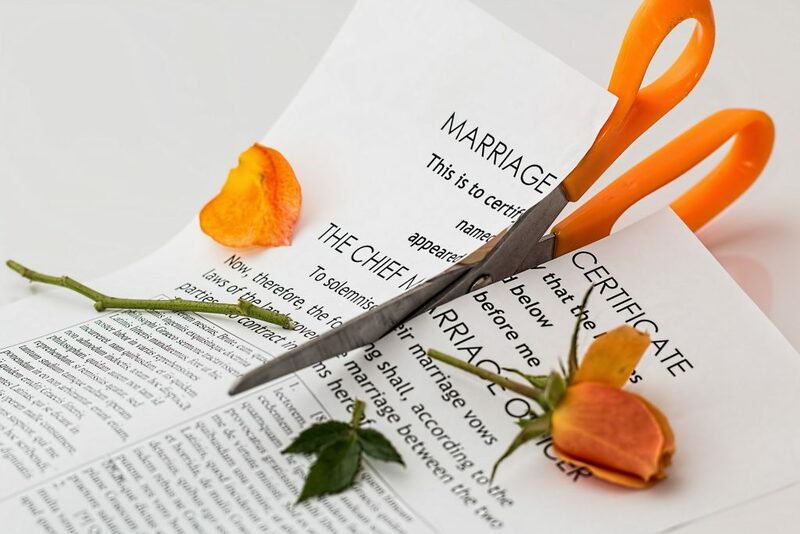 You can read more about the grounds for divorce here, in our previous blog. In 2016, 51% of divorces granted to women were on the basis of unreasonable behaviour (vs 36% for men). In 2016, 52% of divorces granted to men were on the basis of separation (vs 36% for women). In the 80s, nearly half of all divorces granted to men were on the basis of their wife’s adultery, peaking at 45% in 1987. This has now fallen to a mere 11% in 2016. The total number of divorces granted on the basis of adultery has fallen from a peak of 47,447 in 1985, to 11,972 in 2016, a fall of 75%. 7. Divorce on the basis of separation without consent is becoming increasingly popular. A person can get divorced after having been separated for 5 years, even if their spouse does not agree. The proportion of divorces granted on this basis has increased by 200% over the past 30 years. In 2016, 15% of divorces were granted on this basis, up from a low of 5% in the mid 80s.